The Deputy Senate President, Ike Ekweremadu, has agreed to stand as a surety to guarantee the bail earlier granted by a Federal High Court in Abuja to a former National Publicity Secretary of the Peoples Democratic Party, Olisa Metuh. Ekweremadu is set to replace Dr. Olubumi Usim-Wilson, who has indicated his intention to withdraw as a surety for the accused. Metuh was granted bail in January for terms, including having to present two sureties. 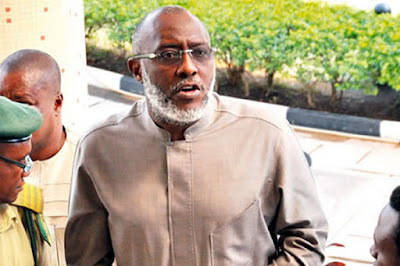 The Economic and Financial Crimes Commission is prosecuting Metuh and his company, Destra Investment Limited, on seven counts, including fraud involving N400m, which he allegedly received from the Office of the National Security Adviser in 2014 without justification. The money was said to have been released to Metuh and his firm by the immediate past NSA, Col. Sambo Dasuki (retd.) from about $2.1bn earmarked for the purchase of arms to fight insurgency in the North-East. Other counts involve alleged money laundering involving cash transaction of $2m. At the resumed hearing of the case on Monday, Metuh, through his lawyer, Dr. Onyechi Ikpeazu (SAN), notified the court of his intention to present Ekweremadu as one of his sureties. He made the application while an application filed by Usim-Wilson to withdraw as surety was still pending.